Panama is not one of the world’s cheapest places to travel. It’s right in the middle in terms of tourism costs in Central America. 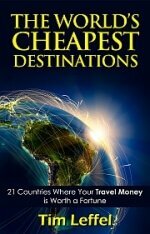 It is noticeably cheaper than Costa Rica, but far more than Guatemala or Nicaragua. With its economy booming more each year, it’s a better spot for mid-range travelers than backpackers. Where it tops the list for value, however, is buying alcohol or going out to bars. In a part of the globe where sin taxes can be higher than the actual production and distribution costs of booze (I’m looking at you, Ecuador), Panama is a free market breath of fresh air. I’ve been doing some traveling in Central America the past week, mostly off the grid, but I started off the trip with three nights in Panama City. While many prices there seem right in line with those in the USA, it’s a different story in the booze aisle at the grocery store. The premium local brand: $4.14 a six-pack. In general, Panama is only really a good travel value outside of the capital city. (The capital is the “hub of the Americas” for commerce, air shipments, and sea shipments, plus a lot of international companies have bases here. Plus lots of ships transiting the Panama Canal.) Since Panama uses the U.S. dollar as its currency, prices tend to stay relatively stable. 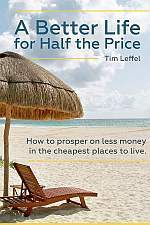 Outside the capital, it’s still possible to live for half what it costs in the USA, but that’s partly because of far lower health care and real estate prices. If you’re coming from the UK or Canada—where health care is a right instead of a budget buster—it’s going to be tougher to lower your costs by half. 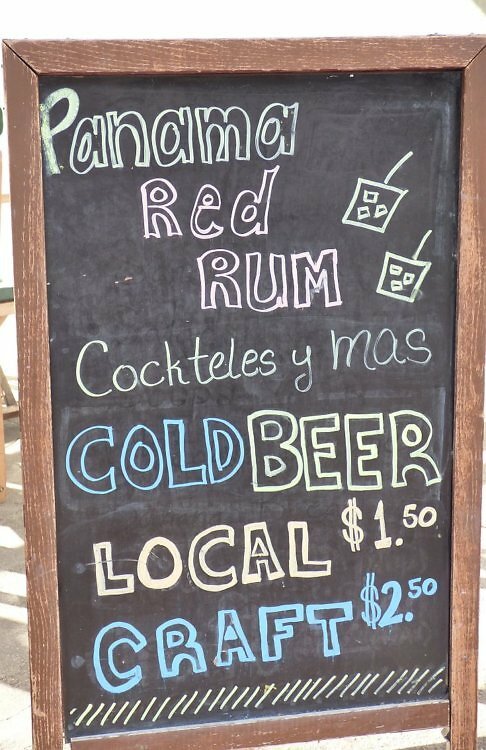 If you want to take advantage of one of Panama’s best bargains, plan to do your drunken debauchery here. I originally wrote a post about this back in 2011 and said that “beer is priced pretty well, at 55 cents or less in a store for the main three brands, a buck or two in a non-fancy bar.” I have visited twice since then and those prices haven’t really budged. At a carnaval street party, cans of Atlas were $1. I paid $3.50 for a 20-ounce draft at a lunch spot in the Casco Viejo historic district, but it was 2-for-1 from 3:00 to 7:00. The same place had 2 margaritas for $8. 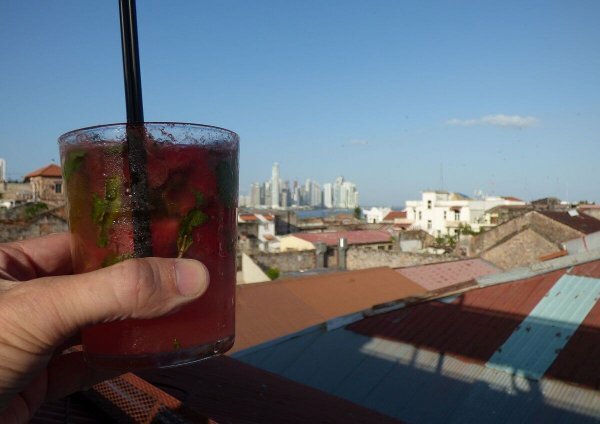 Later we got 2-for-1 watermelon mojitos for the same price, but with a great rooftop view. 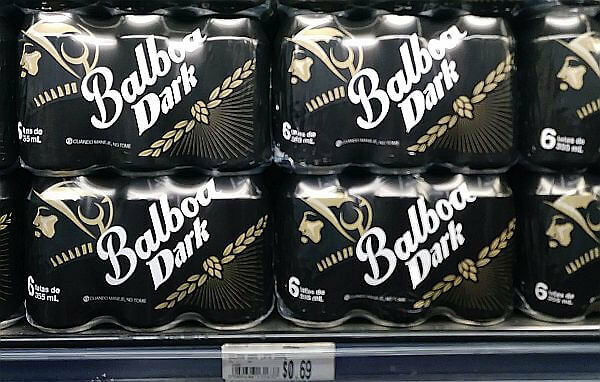 The main cerveza development is that it’s getting easier to find Panamanian craft beer—in the capital city anyway. 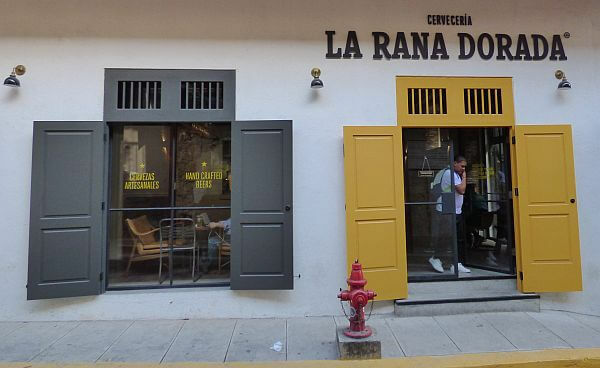 Rana Dorada was open when I visited five years ago, but now it’s in a newer and larger facility and I saw craft beer available in multiple bars. So this is one of the cheapest places for beer in the world, If you don’t like beer, you’re in even better shape here thanks to the lack of taxes. 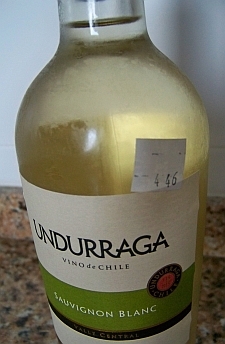 My concept of what constitutes a wine bargain has changed since a Trader Joe’s moved in to the city where I live when I’m in the USA, but in Panama it feels like everything is on sale all the time. If you are used to buying a good value brand from Argentina or Chile, you’ll probably find it for a few dollars less here. If you’re looking for a fine Bordeaux from ten years ago, you’ll probably find it in a restaurant here for half what you would pay in a restaurant in the U.S., Canada, or Europe. If you’re fine with the house wine though, well, I paid $4 a glass at a rather touristy restaurant near many international hotel chains. Last time I stayed in Panama City, I had recently done a wine tour in Chile. I had done extensive tastings got insider access to some of the best vineyards in the country. When I went to a grocery store in the business center of the city, I found bottles from three of those vineyards for less than $5 a bottle. I was tempted to fill up a whole shopping cart until I realized I was staying in a hotel. Alone. For just a few days. Since then I’ve met residents of Costa Rica who do fill up a whole shopping cart to haul across the border in their car. Here a week’s earnings would fill my liquor cabinet for a year. The pickings are especially ripe if you like rum: $7 or less for a 750ml bottle of something basic for cocktails. The good 7-year stuff was still mostly less than $15 a bottle and rum that has taken a full 12 years of storage before hitting the market is often around the $20 mark. Due to Panama’s free trade zone status, even the international vodka and Scotch brands are frequently 30-50% less than I would pay in the U.S. So you may pay a bit more for lodging and the adventure tours are not as cheap as they are in Nicaragua, but if you’re ready to let loose and party for a while, Panama is waiting. Don’t worry, when you need to be poured into a cab to make it back to your bed, prices are set by zone: figure $3 to $8 for most of Panama City. Just be sure to ask before getting in. Or use Uber. Oh, and did I mention they have casinos here? Lots of them? With $2 or $3 blackjack tables and free-flowing cocktails? Before or after your cheap travels in other parts of Central America, come here for the party.